This article takes you through the step by step process of signing up on Rave. Kindly visit the homepage rave.flutterwave.com and navigate to GET STARTED. Select the Individual, Business or NGO account as applicable and fill in your details accordingly. 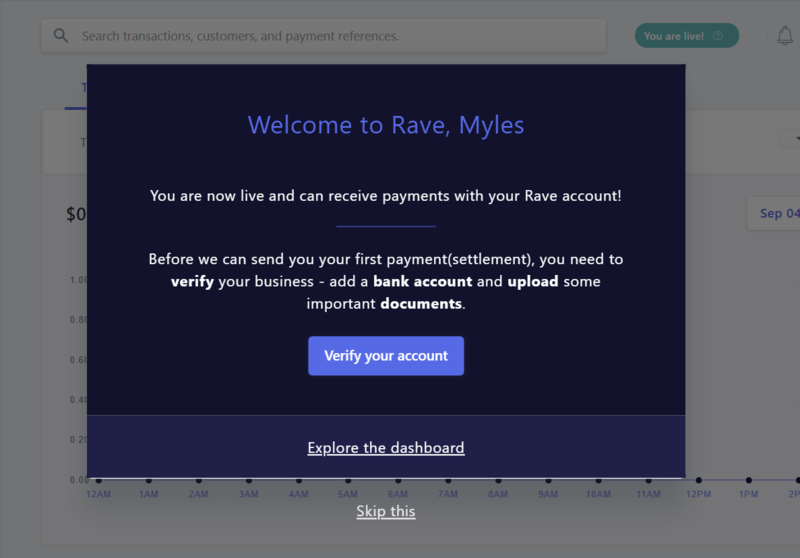 On completing your application, you will be redirected to the homepage where you will see a pop-up welcoming you to Rave. It is advisable for you to add your bank account details immediately so that you can receive your funds in your bank account. You can, however, skip this and go straight to the dashboard. That’s it, you’re set to start receiving payments! You can follow these links for more information on how to receive payments or how to manage your bank accounts.